Clive Barwell is an independent financial adviser in Leeds who helps people in later life feel more in control of their current and future financial well-being. Clive Barwell is a financial adviser based in Leeds and who specialises in providing later life financial planning. For those at retirement and beyond, finding the right financial advice and guidance can prove to very daunting but Clive’s expertise can help you feel in control of your finances, both now and in the future. As a specialist later life financial advisor in Leeds, Clive Barwell has the expertise to provide financial advice which is tailor made to suit the unique requirements of those in later life. Clive understands that if you are heading towards retirement or have already retired, you are likely to be facing a unique set of concerns. Clive knows that personal finances can prove to be worrying for everyone and whether you struggle to get to grips with financial matters in general, or are worried about the return you are getting from investments and savings, he will work closely with you to find a financial route that suits your personal circumstances. Clive’s approach to later life financial planning is designed to offer guidance and support when you need it most. Clive acts as a ‘financial planning navigation system’ and will begin by taking an in-depth look at your current finances, before talking through your plans for the future and any worries you may have. By listening carefully to clients and taking into account concerns you have for the future, Clive will plan a tailor made financial route, designed to help you stay on course and avoid any financial pitfalls. Unfortunately life often presents us with unforeseen financial obstacles but by asking for help from Clive you’ll have the reassurance of knowing that you are receiving advice that has been personalised to suit your individual requirements. 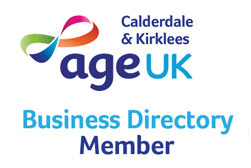 Clive is an Accredited Member of the Society of Later Life Advisors and has over twenty years of experience as an independent financial advisor in Leeds, so you’ll have the reassurance of knowing that your finances are in safe hands. 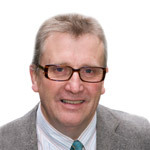 Clive’s expertise is aimed at clients who are in the at-retirement and post-retirement market and whether you are looking for advice on care fees planning, equity release, inheritance tax or making a will; Clive will work hard to keep your finances on track. If you would like to find out more about how Clive can help you find a safe, secure route through your financial future, why not get in touch with him today on 0800 074 8755? Clive is an established, accredited financial advisor in Leeds whose services are available to clients throughout West Yorkshire.